The 1st July marks the centenary of the start of the Battle of the Somme, also known as the Somme Offensive,The battle was fought by the armies of the British and French empires against the German Empire. It took place between 1 July and 18 November 1916 on both sides of upper reaches of the River Somme in France. It was the largest battle of the First World War on the Western Front; more than one million men were wounded or killed, making it one of the bloodiest battles in human history. 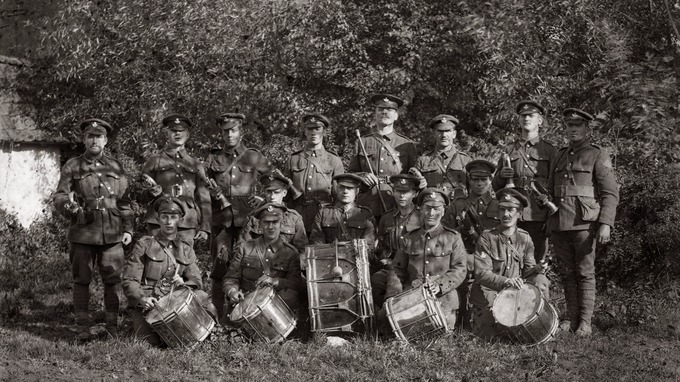 The Durham Light Infantry had two battalions in action on the first day of the Somme, the 18th (31st Division) opposite Serre and the 15th (21st Division) north of Fricourt. The 15th battalion, aided by its Division artillery’s used of a rolling barrage, captured the German front line trenches and pressed on, until by the afternoon the battalion advanced an additional 600 yards to the edge of Shelter Wood, beating off a counterattack until relieved that night. Casualties amounted to 440 officers and other ranks. The planned advance of D company of the 18th battalion that morning was overlooked by German forces in the ruins of Serre and together with the other assaulting troops of the first wave suffered grievous losses and gained no ground. The retaliatory German shelling virtually destroyed the front line and communication trenches and the remaining companies of the 18th and other battalions were ordered to prepare a defence in case of counterattack. They remained in these shattered trenches, attempting to repair them and rescuing the wounded from no-mans land, under at times intense bombardment, until relieved during the night of 4 July. When reassembled the battalion had 14 officers and 357 men, having lost 58% of its strength killed and wounded.